Whether it is Mumbai, Delhi or Kolkata, wedding expenses are more or less the same. Yes, they’re expensive. Yes, you throw away loads of money for the flowers you don’t need for your decor or the caterer whose food just passes the muster. All of this only to impress your guests. Guests, half of whom you don’t even know! While modern couples are ditching the notion of Big Fat Indian Weddings and going the DIY and budget-friendly way to save big sum for their honeymoon. We thought, why not create a list for all those couples looking for budget banquet halls in Kolkata, which offer some great services, amenities and all that jazz one has in their royal wedding - at a low cost, without compromising on quality. Ivory Banquets located in Salt Lake City, Kolkata is synonymous of luxury and indulgence and can executive a grand and royal wedding flawlessly. Whether you are planing to host all your wedding & pre-wedding functions at a single venue or looking for accommodation facilities for your out station guests - Ivory Banquets can take care of it all. The venue has multiple aesthetically designed banquet halls in Kolkata to suit gatherings of any size. The in-house catering experts serve the finest of multi cuisine delicacies which will delight your taste buds. The courteous and warm hospitality of the staff will ensure you have a day to remember for life. Hotel The Sojourn in Salt Lake, Kolkata offers a beautiful banquet hall for pre-wedding and wedding ceremonies. 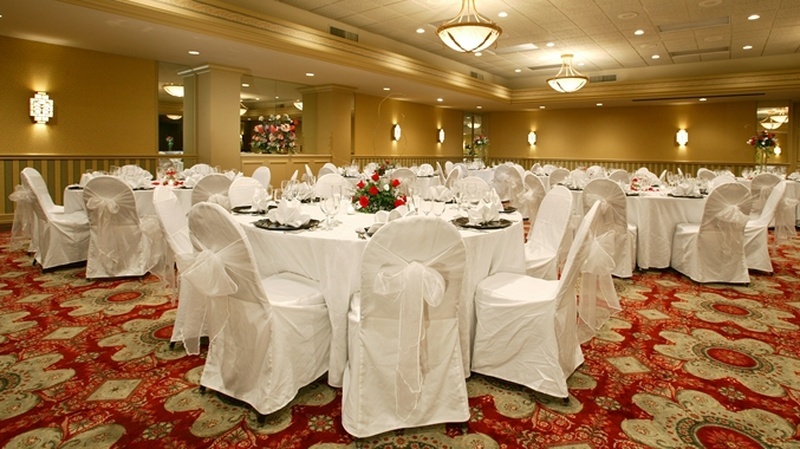 You can combine their halls to host larger parties for wedding receptions and other ceremonies. Their in-house decorators can set up the space to complement every occasion while their chefs whip up a delicious meal for your guests to enjoy. Club Verde Vista in Jadavpur, Kolkata offers a lavish venue for your special day. Multiple options at the marriage venue will surely spoil you for choice. You can choose from their two banquet halls, which have attached lawns for a gorgeous open space. If you want a winter wedding, you can always choose their rooftop space which comes with a fountain and a garden. Their in-house caterers and decorators can look after your every need and help make your big day more memorable. Pipal Tree Hotel in New Town Kolkata, offers a luxurious venue in a budget with all modern day amenities. The banquet halls will spoil you for choice with their artistic decor and elegant style. You can also choose their rooftop space for winter weddings and cocktail parties. Their in-house decorators and caterers can look after your every need and make your big day a memorable affair. JMS Villa and Garden, AJC Bose Road, Kolkata is an ideal place for wedding as it has a lot of open space. The venue provides the entire villa combined with the lawn space to accommodate a large reception party. The Villa is fully air-conditioned and also available for pre/post marriage functions and parties. The venue has tie-up with well-known decorators & caterers are also associated hence being a one stop shop for all your wedding requirements, however there is no restriction on caterers & you may bring your own caterer depending on your choice. De Sovrani, Salt Lake, Kolkata offers a cozy space for pre-wedding ceremonies and intimate weddings. Their rooftop space is great for cocktail parties, sangeet and mehendi parties while their hall can be used for weddings. Their in-house decorators can help you set up a beautiful venue while their expert chefs whip up a delectable feast for your guests. One of the best banquet halls in Kokata for marriage, the venue welcomes you with its warm hospitality. Ethnotel, Jessore Road, Kolkata offers a gorgeous space for engagement parties, sangeet, mehendi and intimate weddings. The elegant decor, done by their in-house decorators, will make every moment of the special day click-worthy. Their expert chefs will also make sure that your guests are treated to a delectable feast, making your big day a memorable one.